Categories: Adoption Parenting, Agency Essentials, Child Care & Parenting, Classic Adoption Books, Infant Care and Parenting, Siblings in Adoption, Tapestry Picks, Teen/Older Children. This book is PURE ENCOURAGEMENT for adoptive parents! Most adoptive parents don’t know that their child has a different “heart language” than theirs. They need a translator, which Sherrie Eldridge becomes in her new book. 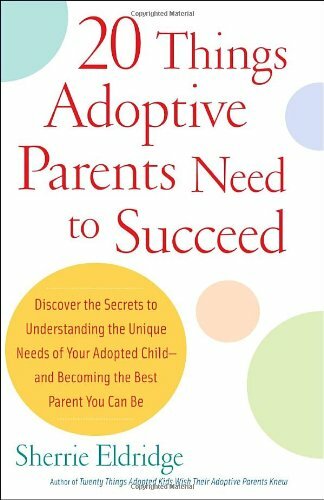 In her groundbreaking first book, Twenty Things Adopted Kids Wish Their Adoptive Parents Knew, Sherrie Eldridge gave voice to the very real concerns of adopted children, whose unique perspectives offered unprecedented insight. In this all-new companion volume, Eldridge goes beyond those insights and shifts her focus to parents, offering them much-needed encouragement and hope.